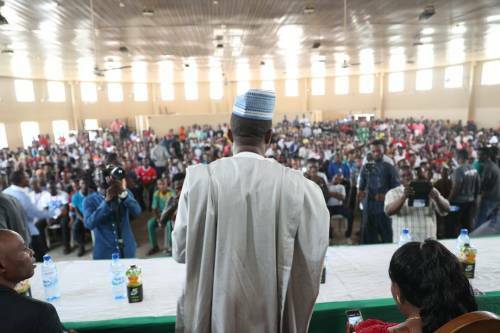 The Saharareporters boss who is also a Presidential aspirant Omoyele Sowore in a town hall meeting yesterday 26th of May 2018, at Circular hotel Ilorin Kwara state while giving his speech said the Senate President Dr Bukola Saraki who sue him for libel few months back will return the money that the Kwara state high court seized from him with interest. "This same Saraki went to the court to stop us and sent thugs to beat us after bragging he has all the Judges in Kwara State in his pocket," he said. Let me use this opportunity to tell him that the money he seized from us would be refunded soon and will be paid with interest while he goes to jail".